The Paw Patrol training range has been designed so your child is comfortable and safe whilst at the same time feeling happy that they are with their favourite characters. This brightly coloured range has been proved to make a challenging experience much more fun and exciting. The Paw Patrol Steady Potty has been specially designed with a high back for extra comfort and support. Recently winning the bronze award at the Mother and Baby awards 2014. The potty is lightweight which makes it portable and easy to use on the go. Easy to clean. Part of a co-ordinated range with a Step Stool and Training Seat. 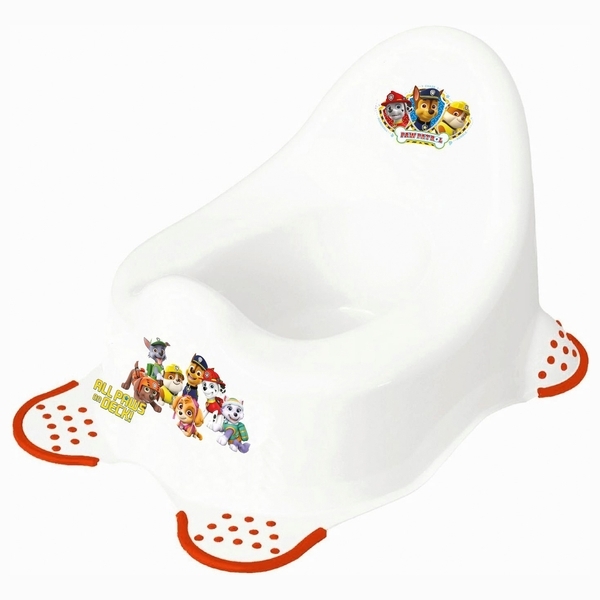 Part of the Nickelodeon Paw Patrol toilet training range – this design is also available in a step stool and training seat (sold separately).